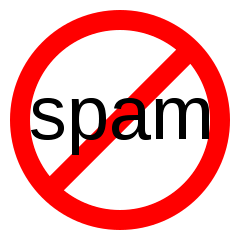 Spam from the (old) Monastic Musings! About 14 months ago, my first blog (Monastic Musings) was hit with a malware attack and, before I could clean it, Google’s Blogger software shut it down. In spite of months of effort, I was never able to regain access. Yesterday, I began getting notices that people were unsubscribing from that first blog. A little investigation reveals that it’s now been poached by someone pushing information about cars. If you’re getting spam posts about Chevy’s from Monastic Musings, please just hit the “unsubscribe” button! Just a few days ago, I learned that the Better Business Bureau has sometimes tried to help people resolve their issues with Google. In fact, they had enough success that they had raised Google’s BBB rating from “unsatisfactory” to a grade of C- (although this is still far below the B+ for Apple and A+ for Yahoo! and for Microsoft). Over the weekend, I’ll look into making a Better Business Bureau complaint: perhaps I can be one of the lucky ones. In the meantime, please accept my condolences and apologies if you’re getting spammed by the old blog.